Smara (Occupied Territories), May 1, 2017 (SPS) - Moroccan forces intervened violently, Saturday evening in the occupied city of Smara, against Sahrawi demonstrators came out in solidarity with human rights activists on unlimited hunger strike Hamadi Naciri and Kabal Jawda. The Moroccan forces besieged the protesters during the first minutes of the demonstration, where they intervened violently against them, resulting in many injuries among the demonstrators, some of them were critically injured. 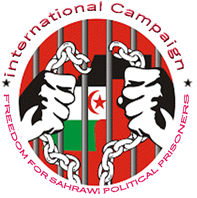 Sentences inflicted by Moroccan occupation against Gdeim Izik group “strictly political"